After 20 years of progressive sales and leadership with a major Canadian brewery, Norva Riddell joined True North in the summer of 2004. Riddell provides leadership in the areas of ticket sales, corporate sales and client services. In 2007, she also took over the role of overseeing the facets of marketing, promotions and game production, ensuring cohesive integration for True North in both sales and marketing. 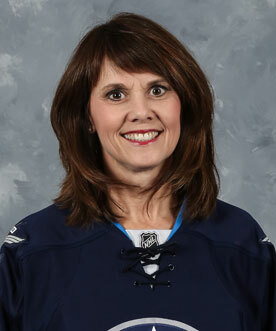 In 2008 Riddell was awarded the American Hockey League’s Ken McKenzie Award, recognizing her significant accomplishments in marketing and sales for the Manitoba Moose among all AHL member clubs. Riddell has been a Board member of the True North Youth Foundation since 2006.